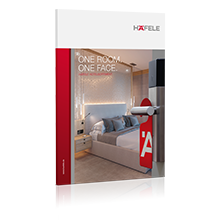 Quality and environment management at Häfele is an important and integral part of the company philosophy. The quality standards are continuously enhanced by means of continuous improvement. You can satisfy yourself of the high quality standards at Häfele: DIN EN ISO 9001 certification was achieved as long ago as 1995. Certification in accordance with DIN EN ISO 14001 in 2000 is also proof of Häfele’s resource-protecting and environmentally aware behaviour. Actively practised ecological environmental protection does not just reduce the amount of waste and avoids unnecessary pollution, but also leads to economical and ecological advantages for our customers due to energy and material reductions.